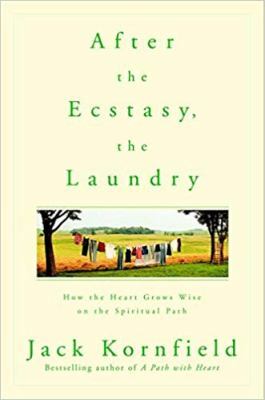 One of America's most beloved and respected spiritual teachers, Jack Kornfield tells us in After the Esctasy, the Laundry that enlightenment is real and does actually happen to people, but it is not the end of the road. After enlightenement, life goes on, and you must continue to struggle and learn and grow as a person. Using numerous quotes from teachers of all traditions, including Judaism, Sufism, and Christianity, Kornfield paints a picture of the spiritual life as both extraordinary and mundane. He tells us to try out a variety of teachers and traditions to see what works for us. No matter how enlightened you may get, he says, you remain human, with all that that implies.